In an ideal world, all children would grow up healthy in good homes raised by two loving parents. They wouldn’t have terrible things happen to them and would be shielded from the worst of the world until adulthood. Unfortunately, that isn’t always the case. 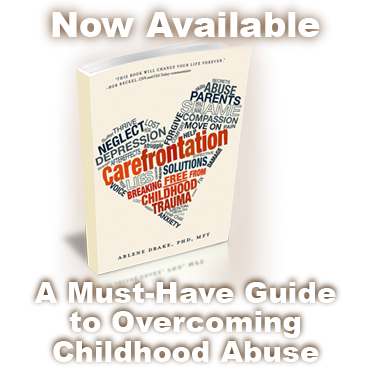 Some people experience traumatic situations as children. It can affect people in many different ways. Here are the many faces of people who have survived childhood trauma. Children often do not have the emotional intelligence yet to deal with trauma. They don’t know how to properly cope and process. As adults, those who have experienced trauma may have trouble identifying and dealing with their emotions. They may have higher levels of anxiety, depression, sadness, and anger than other adults. Survivors also tend to carry a lot of shame, since they may blame themselves for what happened to them. People who survived serious trauma as children frequently have trouble trusting others. When someone who is supposed to care for and nurture you betrays you, it’s understandable that you will have trouble trusting anyone else to do the same. Trauma survivors may have difficulty forming and sustaining meaningful relationships. They have a deep-seated fear that a person will eventually hurt them. Children who experience trauma have higher levels of stress than children who don’t. This can cause trouble sleeping, a lowered immune system, and an increased risk of illness. Childhood trauma survivors are more likely to develop chronic pain, diabetes, arthritis, and cardiovascular disease as adults. Some people may also struggle with substance abuse as adults, using drugs or alcohol to cope with the past. Thankfully, these things don’t have to define you if you experienced trauma as a child. A therapist can help you work through the issues that stem from that trauma so you can move forward healthily and happily.